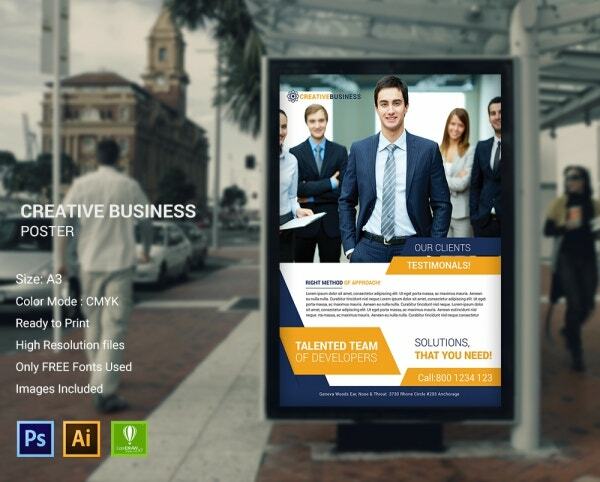 You can use these creative business templates to create various kinds of brochures, flyers, social media cover page designs, banners, billboards and many other things. 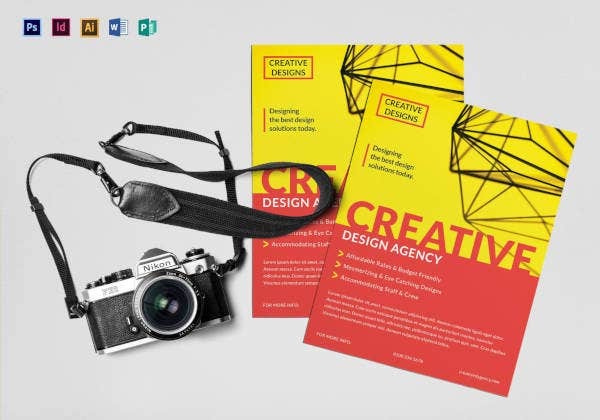 The entire design, being of the creative kind, can be used by designing hubs, freelancing designers, photographers, graphic designing hubs and many other places like this. So, all you need to do is select the ones based on your need, edit it wherever it is suited and put it to use. 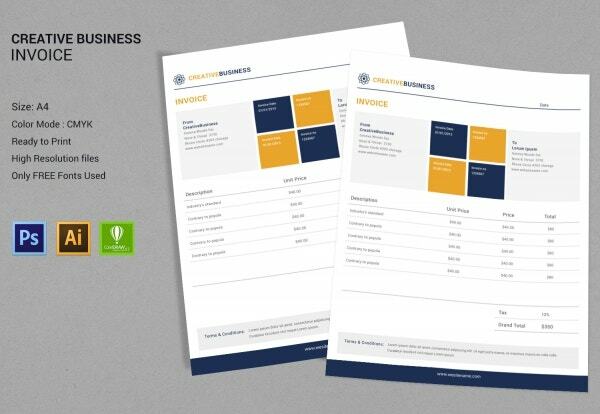 You can also see Startup Business Templates. 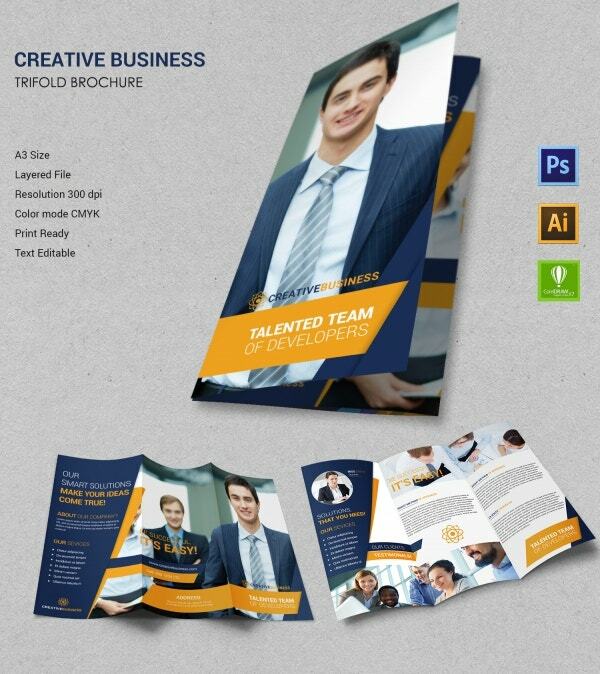 You can create amazing and legible type of tri-fold brochure by using this template. All you need to do is edit the texts and other things using Adobe Photoshop, Adobe Illustrator, and Corel Draw. 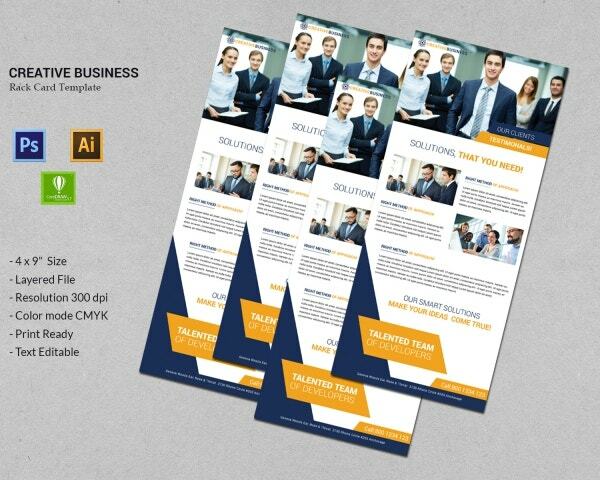 You can print this brochure on A3 sized papers very easily for the file being of CMYK mode. 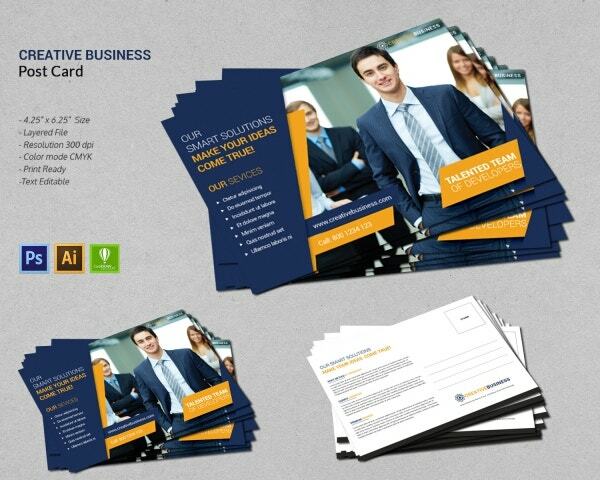 This is another form of trifold brochure template. The front part of the design is meant to be used for noting down the logo and the name of the company and some details if any. The back portion of the file is to be used to write down the services that the company provides and their price value. 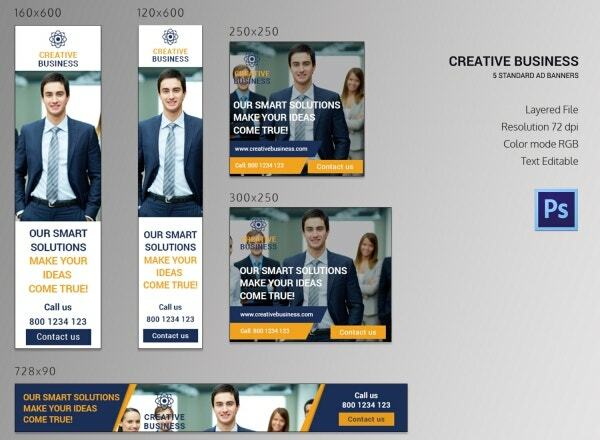 This template consists of banners of different sizes. 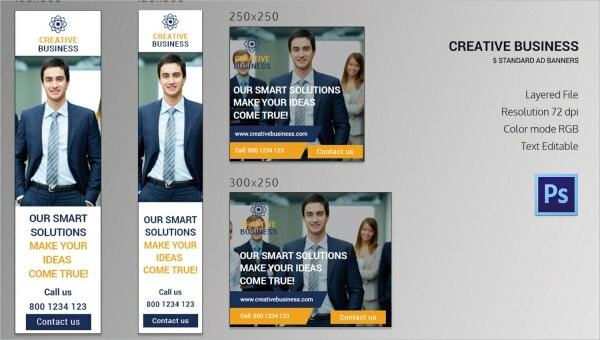 You can create very large banners or very small ones. 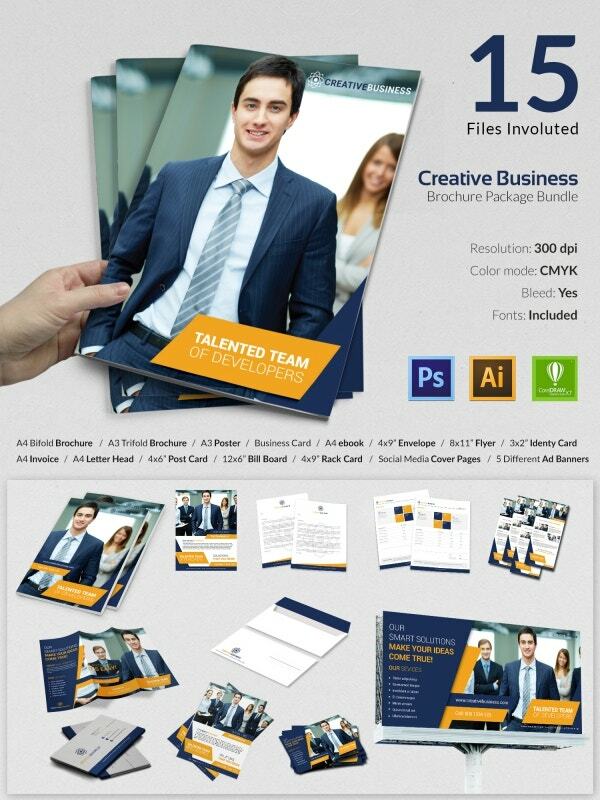 The bundle consists of a PSD layer file which can be easily edited and modified using Photoshop. The file is also of 72 DPI with RGB as the color coding mode. 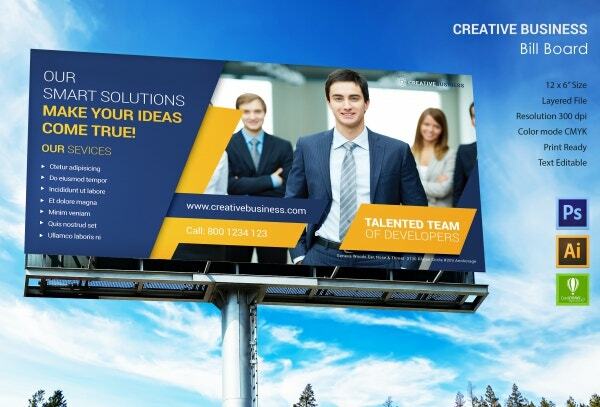 You can use this template very easily and create billboards of 12 x 6-inch dimension. All you need to do is edit the texts, logo and other personal details and pictures by using Photoshop, Illustrator or Corel draw. Also, do make a note of the fact that the 300 DPI resolution is maintained. 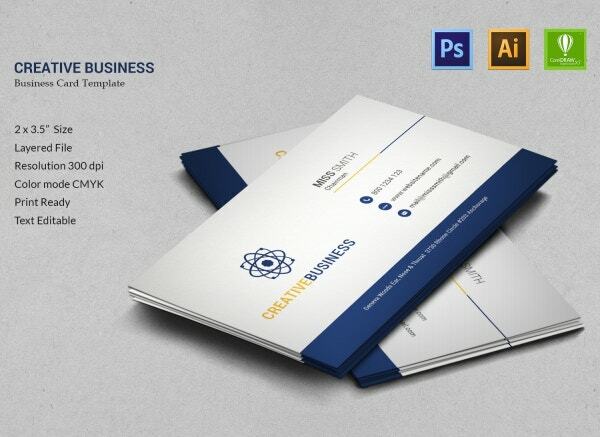 Create chic and elegant looking professional business cards like this by using this template. You can edit and insert your logo on the left-hand side and the address and contact details of your company on the right-hand portion. Use Photoshop, Ai or Corel Draw to make those changes. 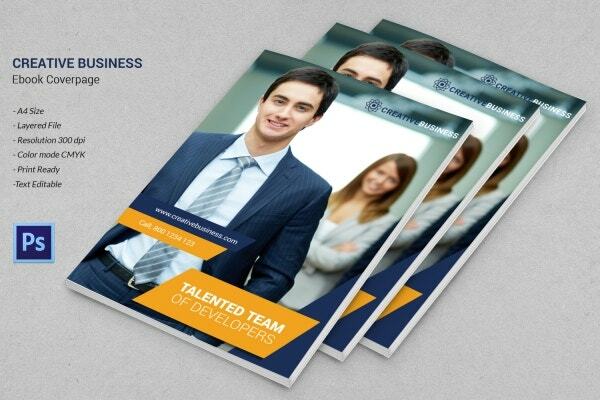 This template can be used and modified into an ebook cover of your choice by just editing the text and other smart objects which have been uniformly maintained in layers. You can easily edit them in Photoshop, Illustrator or Corel Draw and print it out on A4 sized papers. 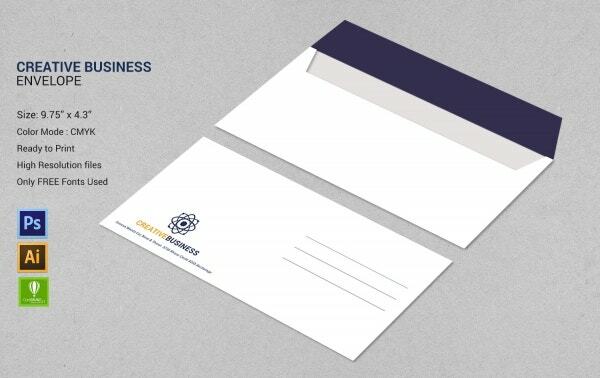 If you are a creative business proprietor and happen to be looking for an envelope sample for your office based mailing needs then this is the template for you. You can insert the receiver’s address on the right-hand side and your company logo should be on the left side. Want others to know about the price quotes of your creative business house? Want to gain more clients? 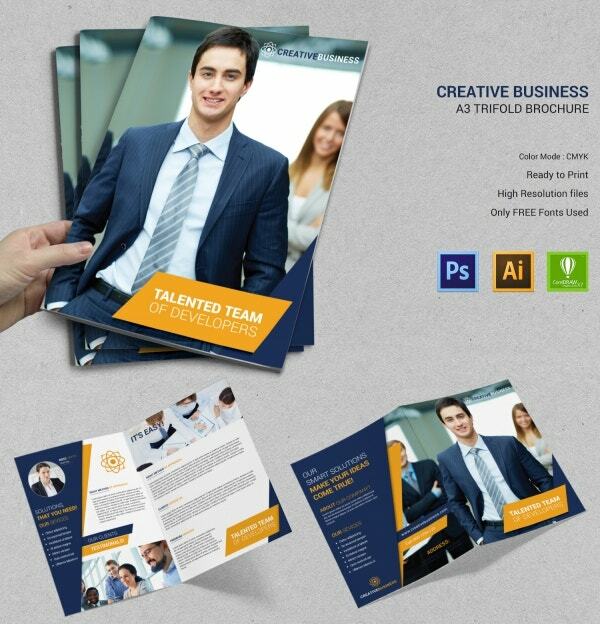 Then use this template and create flyers. The template is print friendly as it comes in CMYK color code and has a perfectly aligned topography. You can print A4 sized samples of it with ease. 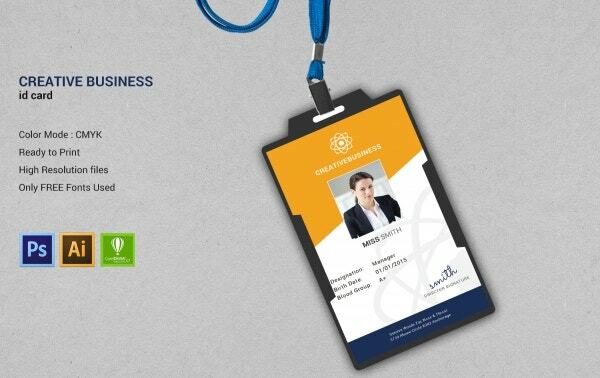 This particular ID card template has a symmetrical and a well-maintained balance like appeal to it. The bundle comes with free fonts which you can use to edit the template in Photoshop, Ai or Corel Draw and personalize it for the benefit of your employees. The color mode of the template is CMYK. This template consists of billing columns in the middle where you can write down the details of the items sold in terms of quantity, price and the total amount incurred. The top border consists of the company’s name and logo and date and the bottom one comprises of the address details. 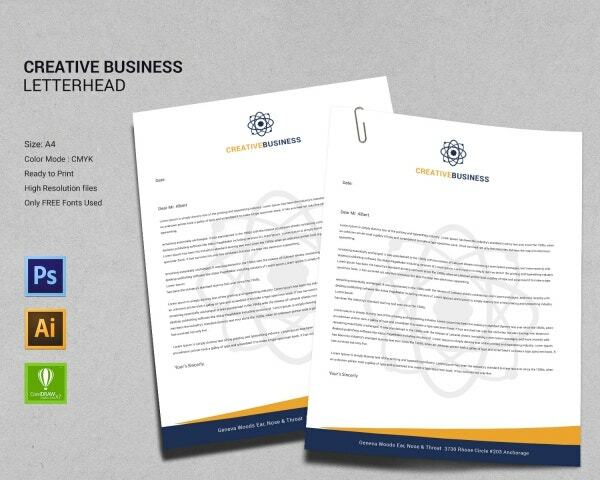 Every company, be it a corporate one or a creative one, requires letterheads. You can use this template to customize one for your own office use. Just edit the text and the logo part and be done with it. Use it as much as you need to store your official data, letters, and many other things. 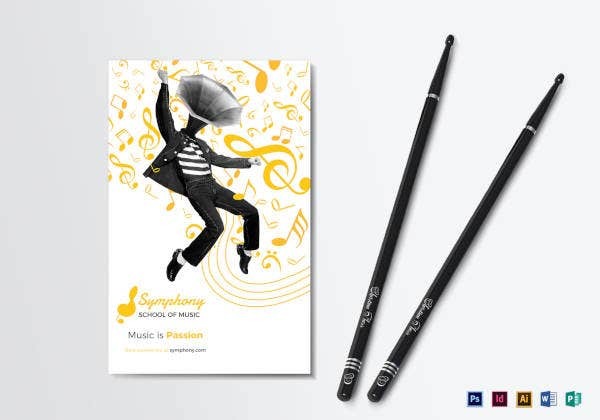 If you are into creative businesses like graphic designing and photography, then you can enhance your marketing strategies by using postcards for distribution amongst clients. This template will suffice to that need of yours. You need to edit the text in Photoshop, Ai or Corel Draw and print it on a dimension of 4.25 x6.25-inch. 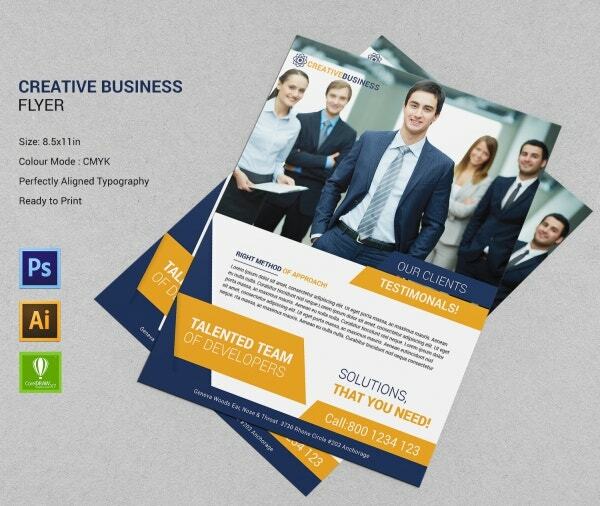 Posters of this design are put to use by web designers, graphic artists and other sorts of designing hubs. So if you happen to have a creative business agency like any of these then just put this template to use for creating posters. All you need to do is edit the texts and images and print it on A3 sized papers. These rack cards are legible, crisp and clear in appearance. 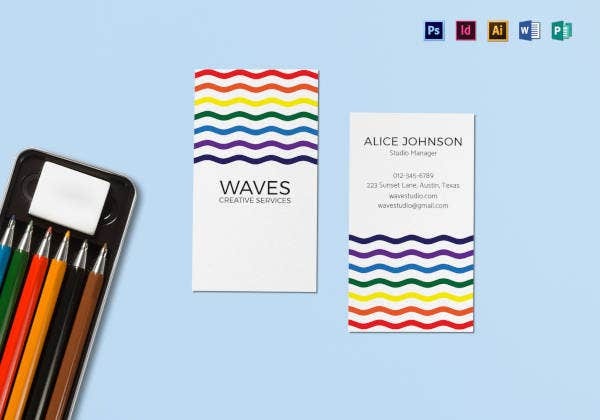 You can put it to use to create rack cards for your creative business agency by only editing and customizing them on Photoshop, Ai or Corel Draw and make prints out of them of 4 x 9-inch size. If you are into a creative sort of businesses, then it is pretty much obvious that you have maintained certain social media accounts for your online marketing purpose. 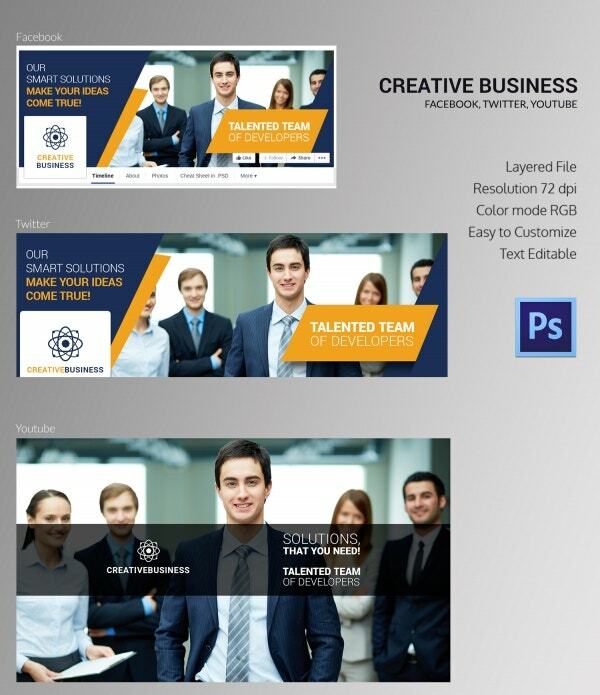 These templates, as you can see, can be used to make cover pages for Facebook, Twitter, and YouTube. All you need to do is change their text and other objects by using Photoshop.